Everyday Fashion and Finance: Bloggers Closet + GroopDealz Pick of the Day! Bloggers Closet + GroopDealz Pick of the Day! Today, I am so excited to tell you about the launch of a new site I have joined called Bloggers Closet! Bloggers Closet was created by one of my favorite bloggers and someone I consider a mentor - Lauren Slade of Style Elixir. Bloggers Closet features "Buy It Now" and "Auction" items from your favorite bloggers. It is a fabulous place to find some of the best brands, latest trends and those hard to find pieces at really great prices! I have already listed a few items for sale in my closet and will be adding more in the coming weeks. If you're a blogger, you can apply for your closet and start selling! It's always free to list items. Congratulations, Lauren, on your success, and thank you for including Everyday Fashion & Finance in your launch! Click here to join and start shopping! 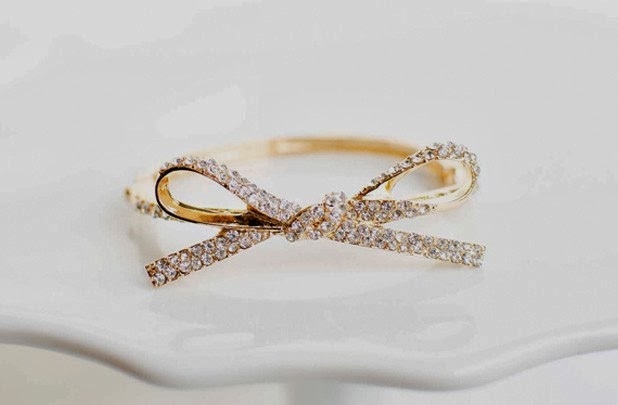 Loving this Kate Spade inspired bow bangle for only $9! Hope everyone is having a great week! Don't forget to check out Bloggers Closet!